NewAer is a software as a service Bluetooth Low Energy discovery, beacon and peer-to-peer messaging platform. Our company name is derived from a “new” way to think about “airwaves.” We can agree that location based services and GPS are good outside, but fail indoors. Our proximity framework is an evolution of these, created by a team that figured it was about time for your smartphone to become smart inside. The idea is simple: Have it discover the environment and communicate to peers for you, instead of you pulling out your phone constantly, launching apps to tell it what to do. We built an engine for automated control over digital things in your life, then made it open so you could tweak and customize it as a developer. To ease the Internet of things triggered automagically and coming to life with proximity communications. NewAer is more than just waking an app from an iBeacon. We enable in-room peer messaging, wake ups, and sophisticated scripting in the device or on the cloud from any beaconing radio wave that a device can receive. Dave is a consumer-focused inventor specializing in mobile, convergence and digital entertainment. He has worked at the startup stages of projects like boxee, Slingbox and is an inventor of the CueCat consumer bar code reader. Always tinkering, he has 70+ U.S. patents granted or pending and has appeared as a technology expert or host on some 300 television shows. 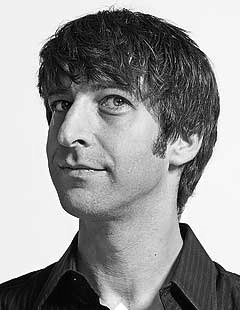 Dave has written for PC Mag, is a founding contributor of O’Reilly’s MAKE and other consumer-tech outlets as well as industry publications. After the dot-com bubble burst, he was tapped by the Chairman of RadioShack to help re-kindle the spirit of innovation within the retail giant. Through his efforts, several products made it to market and many technologies were created with the help of his Asian and US based teams. 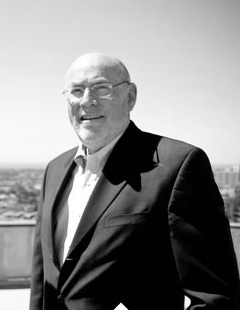 Dave began connecting computers to cellular phones in the early 1990’s and created some of the first mobile data solutions for carriers all over the nation. He has developed communication focused retail superstores and the products that go within, as well as routing technologies, supply chain management and back-end database infrastructure. Dave is a frequent public speaker, technology expert for broadcast media outlets and sits on the advisory board of several early stage companies. When he isn’t jetting around the world to introduce people to NewAer, he likes to rebuild old Vespas, projects which have a defined beginning, middle and end, unlike running NewAer. Just as the cloud changed the way that companies distribute computing infrastructure, Originate gives us the ability to turn on the right development teams at the right time. Windows on release weeks, Android on a major Google OS drop day, and iOS and OS X on subsequent revisions. 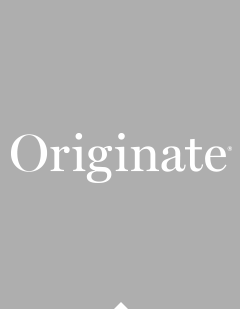 Originate has all of the staff that enables the right teams to be turned on instantly, on demand. Currently, Jay serves on the boards of as well as holds advisory positions in a number of companies. Most recently, Jay served as CEO of SimpleGeo, Inc., stepping in a year prior to their sale to Urban Airship in November, 2011. Jay helped launch Digg, Inc. with Kevin Rose and provided business strategy to the company starting in October, 2004. He served as CEO beginning in early 2005 and officially assumed the role full time when he formally resigned from Equinix, Inc. in October, 2005. 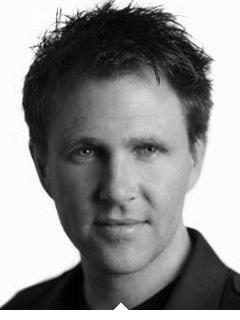 In March of 2005, Jay founded and assumed the role of CEO of Revision3 Corporation. He hired Jim Louderback to run Revision3 as CEO in June of 2007 and remained Chairman until their sale to Discovery Communications in May, 2012. Jay founded Equinix (EQIX) in 1998 with Al Avery, and was responsible for the sustaining business model which lead to Equinix’s international success and successful IPO. Prior to Equinix, he worked at DEC’s NSL, co-founding PAIX in 1996, which was purchased by Switch and Data in 2003. In 1993 he was one of the first employees of the commercial Internet service provider, Netcom (USA), where he built and ran network operations. 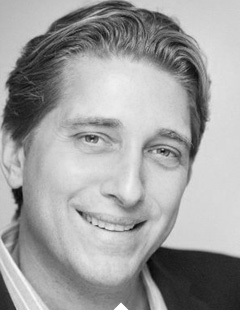 John Bucher is an investor and adviser specializing in wireless communications and mobile computing. Over the last 25 years, he has held wireless-related leadership roles in such diverse areas as corporate strategy, investment management, Wall Street research, product marketing, network planning, engineering, operations, M&A and Ventures. 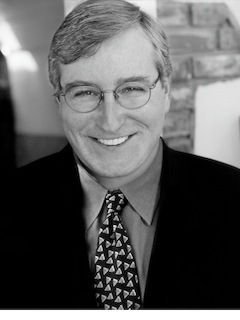 John served as the Chief Strategy Officer of Motorola Mobility, where he led corporate strategy encompassing smartphones, cable infrastructure and set-top boxes up until the closing of the acquisition by Google in mid-2012. Prior to Motorola Mobility, John served as a Wall Street equity research analyst in both buy- and sell-side roles. On the buy side, John covered the wireless, cable, optical and satellite equipment and services sectors for PRIMECAP Management Company, a leading long-only, equity-only investment management firm. On the sell side, John was a Bloomberg Markets award-winning equity research analyst and Managing Director for BMO Capital Markets, including predecessor firm Gerard Klauer Mattison, which was acquired by the Bank of Montreal. Prior to Wall Street, John served in several director-level roles on wireless data ventures run by carriers that are now part of Verizon Wireless. He also worked as an executive for a private investment company. John began his professional career as an officer in the United States Marine Corps. He holds an MS in Telecommunications Systems Management from the Naval Postgraduate School and a BA in Economics from UCLA. Before becoming a partner and CEO at Originate, Rob founded Lumitrend, a mobile software provider. Lumitrend developed a mobile content management platform which synchronizes contacts, photos, music and videos between feature phones and an online data-store. Lumitrend was acquired by Asurion in 2006 and has since deployed the technology to millions of customers on all of the major cellular networks. Prior to Lumitrend, Rob worked for IBM, Slam Dunk Networks, and founded the technology consulting firm Meadows Consulting which provided software services for companies such as Qualcomm, Amadeus, and Amazon. Currently Rob sits on the board of multiple portfolio companies and also founded the successful high-end fashion design house, Thrive. 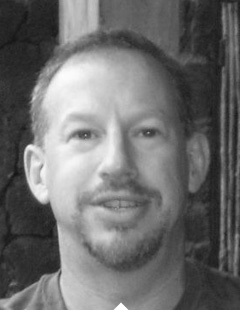 Doug is an investor, adviser and counsel working with start-ups and entrepreneurs in Silicon Valley. Doug is a founding partner at Originate, and advises or invests in consumer internet, software and clean-tech companies. As an attorney, Doug regularly counsels startups, entrepreneurs and senior executives. Doug has served as General Counsel and member of the executive teams of tech companies including: LinkedIn, ememories, and Tornado Development, a unified messaging software company backed by Intel Capital and GE Capital. Doug Mandell is the managing partner of the Mandell Law Group, PC, a boutique law firm based in San Francisco which specializes in general counsel services, corporate and technology transactions, private clients services and employment law. 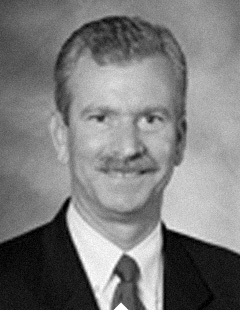 Prior to founding MLG, Doug was an attorney with Orrick Herrington & Sutcliffe LLP. Doug received his undergraduate degree in Political Science from Washington University and studied International Relations at the London School of Economics. He received his law degree with honors from Tulane Law School. Based in Silicon Valley, Neal most recently founded Calista Technologies, a network based desktop virtualization solution, which he successfully sold to Microsoft in January 2008 after only one round of funding. Neal offers a powerful combination of engineering and marketing expertise. He has formulated winning development strategies and helped build several successful companies. Neal was President and CEO of iCompression, a leading developer of voice and video CODEC technology for the broadband and consumer markets. In under three years, he grew iCompression from 7 engineers to over 80 people, leading the company to its successful $400+ million acquisition. Neal also has significant operational and midsize company management experience, having held senior executive roles at graphics chip maker S3. He started his career with four years at Intel in the Microprocessor Group. Neal is also the primary inventor on over 20 issued U.S. patents and has a BS degree in Electrical Engineering. Neal currently serves on the board of directors of Vuemix, an innovative platform delivering a multi-tiled video platform. 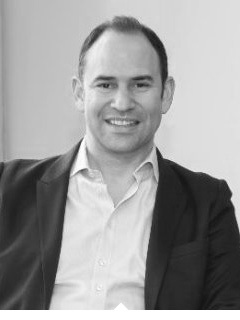 Jeff is the President and CFO at Originate, a company closely connected to NewAer. Jeff is a CPA with extensive experience in international financial markets, corporate finance, capital structure, acquisitions, and strategic investment; additionally, he teaches entrepreneurship at the UCLA Anderson School of Management. Jeff was previously the Chief Investment Officer of GKM Newport Generation Funds from 2003 to 2007, a fund of funds managing $1 billion for investments into venture capital and private equity buyout funds. Jeff also served as Vice Chairman/CFO of Kistler Aerospace Corporation and formulated the capital raising plan for a successful raise of $350 million in equity in 1997. From 1989 to 1996, he served as Vice Chairman of Finance and Strategic Planning for Packard Bell NEC Electronics, Inc. While at Packard Bell, Jeff negotiated equity investments, set up operations throughout Europe and Asia, and was responsible for all administrative functions including personnel, real estate, accounting, finance, MIS, planning, and budgeting. Jeff negotiated in excess of $1 billion in bank debt and $3 billion in trade credit from companies such as Intel, Microsoft and Panasonic. Sandy Climan is President of Entertainment Media Ventures, Inc., a company active in media investment and strategic advisory work, with a particular focus on technologies pushing the boundaries of media and entertainment. Mr. Climan has also been active in both motion picture and television production, most notably as Executive Producer of the first digital live-action 3D motion picture, “U2 3D,” Co-Executive Producer of the CBS primetime series “Robbery Homicide Division,” and as Producer of “The Aviator,” for which Mr. Climan was awarded a British Academy Award and a Golden Globe Award. From 2007 to 2010, Mr. Climan served as the first CEO of 3ality Digital, a leading company in the development and commercialization of technologies which enable digital 3D image capture, digital 3D broadcast and consumer applications of 3D entertainment. Earlier positions have included Executive Vice President and President of Worldwide Business Development of Universal Studios from 1995 to 1997, and as a member of the senior management team at Creative Artists Agency from 1986 to 1995 and 1997 to 1999, serving as both a talent agent and as founding head of CAA’s corporate representation practice. At Universal, Mr. Climan oversaw corporate international strategy, strategic marketing and five studio operating divisions. At CAA, Mr. Climan was part of the senior management team for 12 years. Prior to joining CAA, Mr. Climan held various executive positions in the entertainment industry. He served as President of Lion’s Gate Studios; President of Wescom Productions, a subsidiary of Chronicle Publishing; and Vice President of Production for The David Gerber Company, a major independent television company. He began his career at Metro-Goldwyn-Mayer, overseeing pay-television, international theatrical distribution and, later, working in feature film production.